After firing it up I got a static coloured screen. 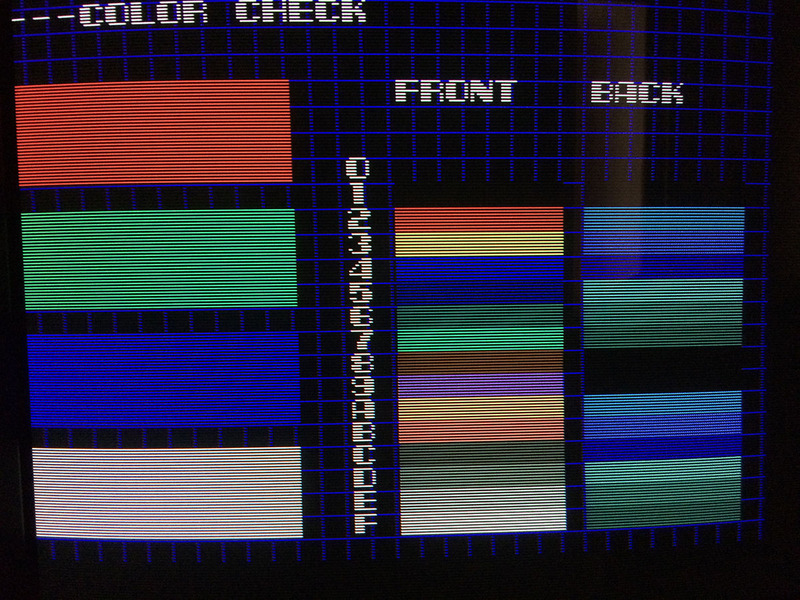 The Z80 was socketed so I first tried to replace it and to my surprise the game started apparently without any major faults with correct colours. The background colours changed alternating between correct and not only during horizontal scrolling. 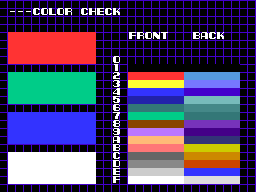 During vertical scrolling the colour of the background was fixed in the last state (being good or bad). I started the test of the pcb and everything looked good except the color check. it seemed that there were some fixed bits on the background colours but that didn’t explain the alternating colours. 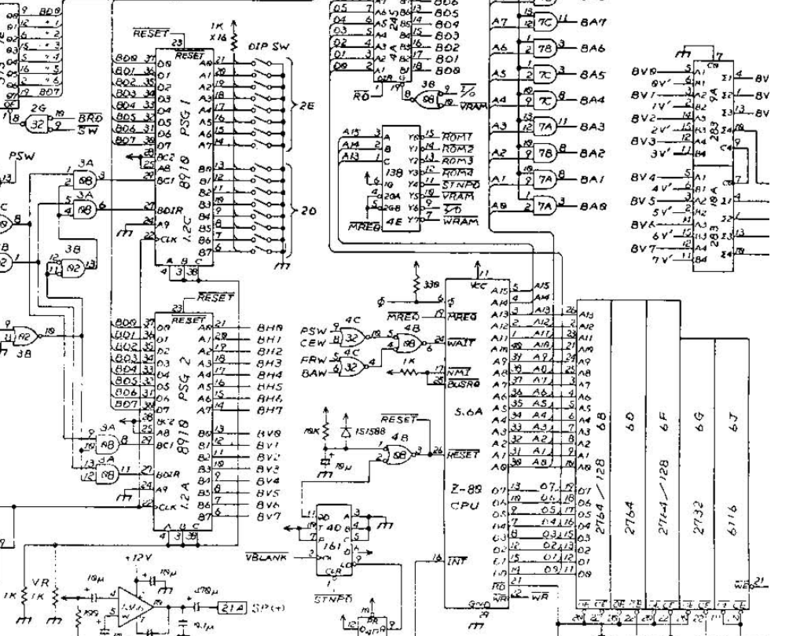 I looked for Nova 2001 schematics which luckily were available. This game has plenty of 4116 drams which are prone to fault normally but they weren’t related to the fault I had. I probed also the 3x 6116 SMD rams responsible for the background colors and the related 74LS273 buffers and they were all good. 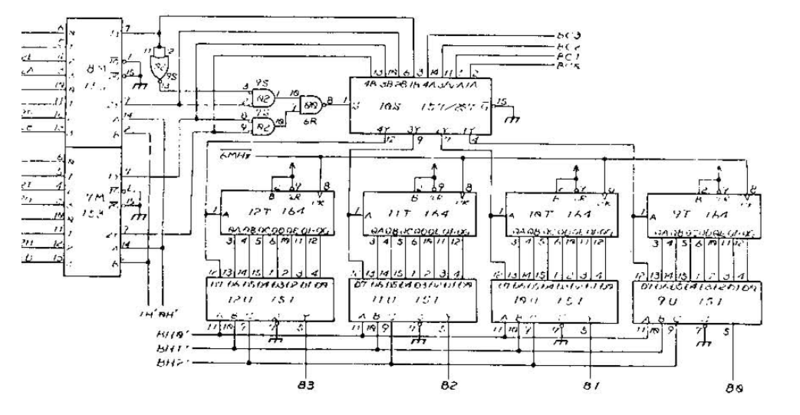 At this point I had no clue where to probe, the schematics were really bad scanned and difficult to read. 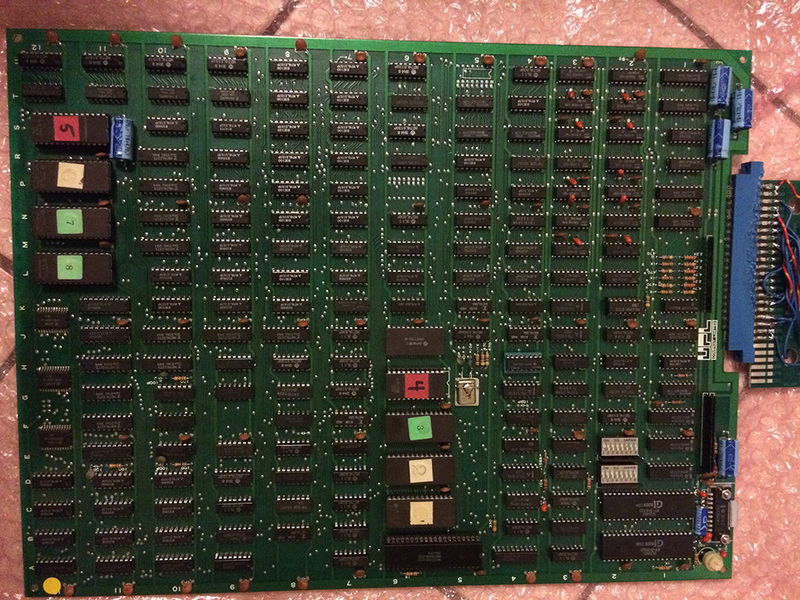 I asked an advice to Charles MacDonald which pointed me to look on the AY8910 sound chips whose I/O are responsible for the horizontal and vertical scrolling. The first 3 bits BH0, BH1 and BH2 of AY8910@1,2A are negated and sent to a series of 74LS151 @12U, @11U, @10U and @9U. All the signals going to these 74LS151 were good. I probed the outputs of all the 74LS151 and noticed that the TTL @12U was oscillating in sync with the alternating background colors. After checking the inputs of this chip, I noticed 3 stuck signals which were back traced to the 74LS164@12T whose inputs CLK and CLR were correct. Changing this TTL restored the correct colour of the background during scrolling.